Why contact the Oakland Team of Re/Max Advantage Realty? Because we have been the trusted local real estate experts of Hernando & Pasco Counties since 1998. 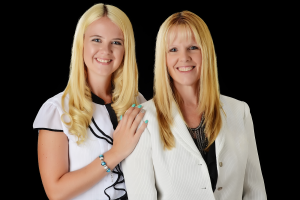 This mother & daughter team has deep roots in the community and love helping to bring new residents to the area. If you are interested in buying a home in Hernando or Pasco, this link will allow you to search the MLS system and set up new home alerts. We offer several tools for both the home buyer and the home seller to guide you through the home buying process. Not to mention comprehensive checklists for your next move. So if you are thinking about making a move, just complete this short form and a member of our team will contact you shortly.